Established in 1934, Longhurst & Andrew is a security firm specialising in locksmithing, alarm systems and surveillance. 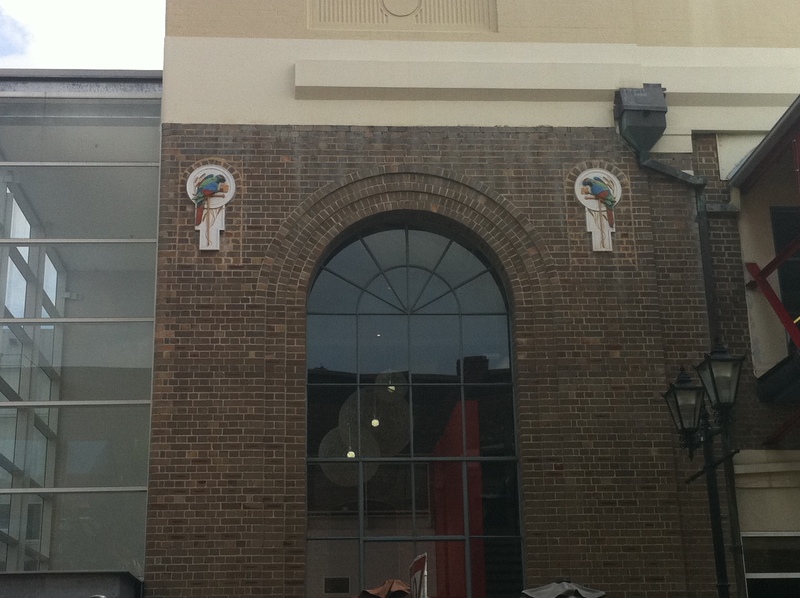 This address on George Street, just beside the Event Cinema complex, used to be its registered office. 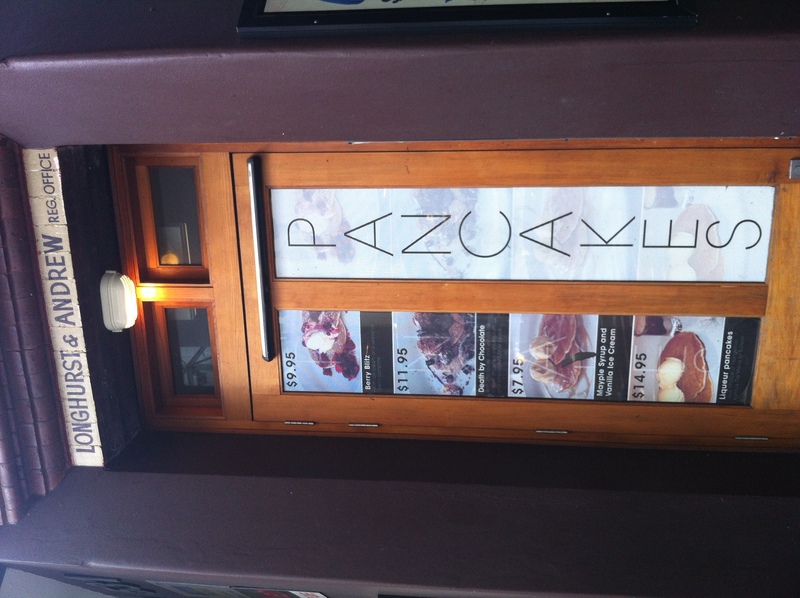 Now, it’s a pancake shop. Do we as a society care more about liqueur pancakes than we do about security? ‘Yes,’ we reply with our mouths full. 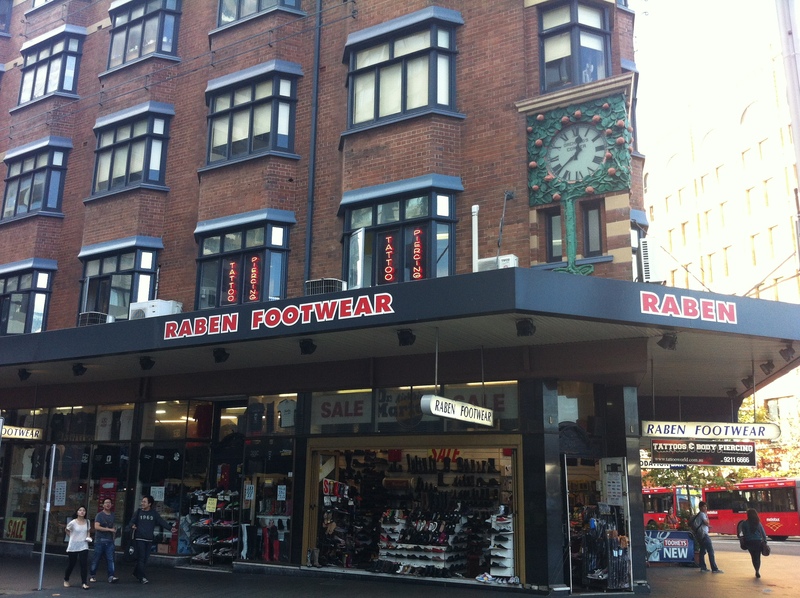 Raben Footwear may seem like it’s been at this Haymarket corner location for a thousand years, but in a time before Doc Martens and skinheads, the site belonged to Richard Beaumont Orchard, a watchmaker, jeweller and politician. 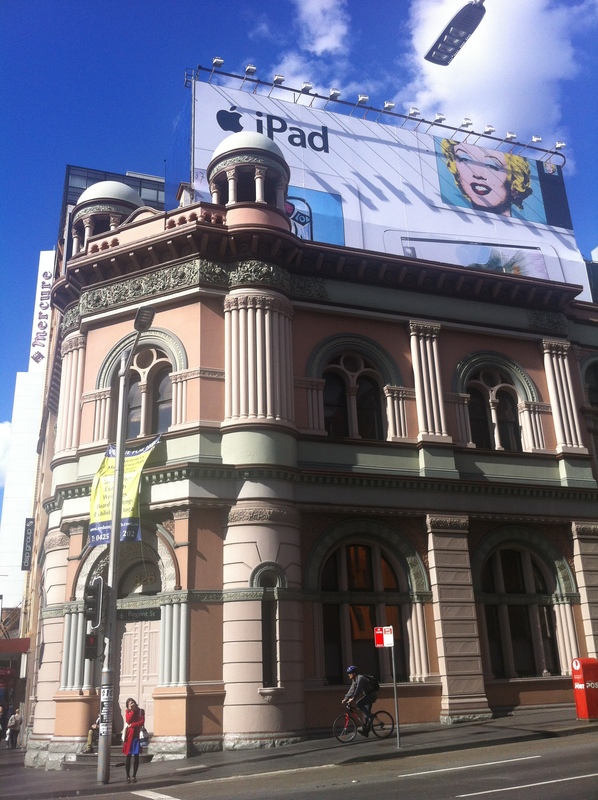 Orchard’s original building had been demolished by the city in order to extend Quay Street to George Street, so to compensate he was given this building. 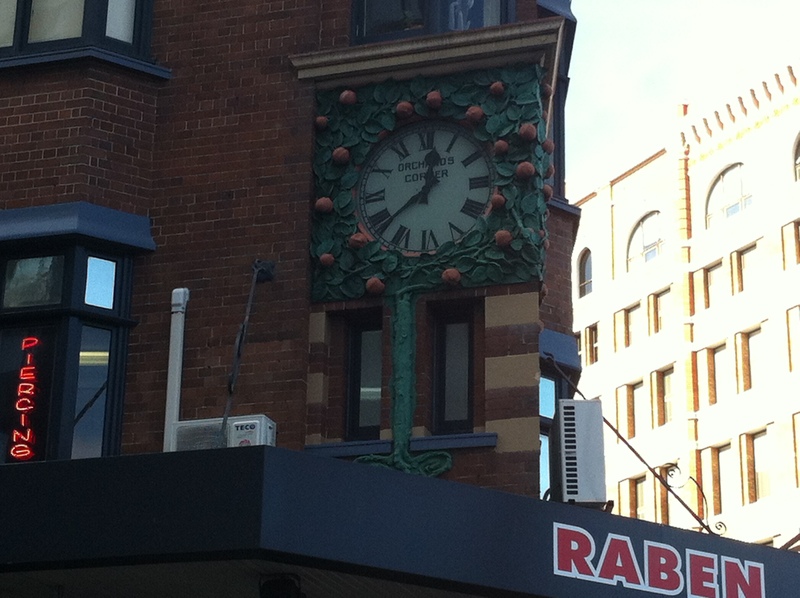 Not sure whose idea it was to add the cheesy orchard-themed clock, though. 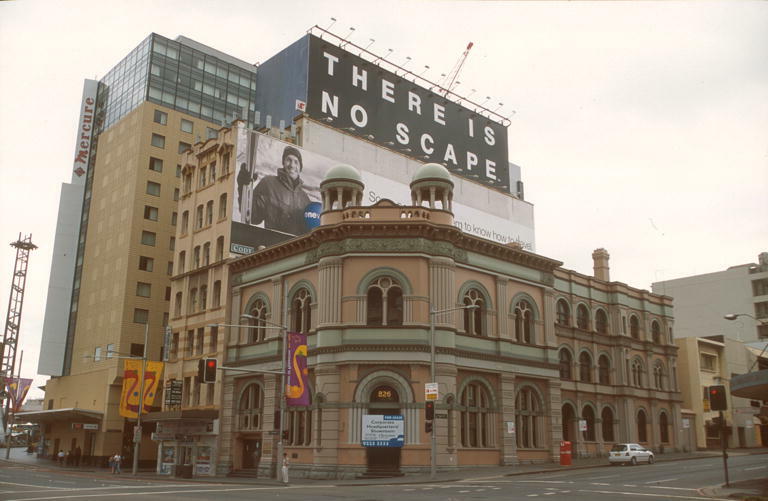 Orchard was a Sydney personality in the early 20th century; a sailor, an actor, founding Commissioner of the ABC and Federal Member for Nepean (Lib). By all accounts he seems like the kind of guy who’d have the ‘My Family’ stickers on the back of his car. His skills as a sloganeer left much to be desired, however; ‘Orchard’s: where the watches grow’. These days, you can find Orchard at Rookwood Cemetery, where he was buried after his watch stopped for good in 1942. 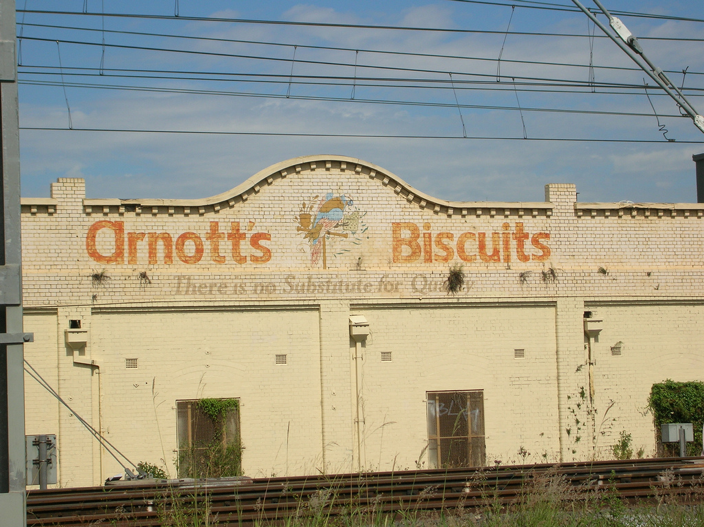 For decades, passers-by of the Arnott’s Biscuit factory at Homebush would experience delicious smells emanating from the place. 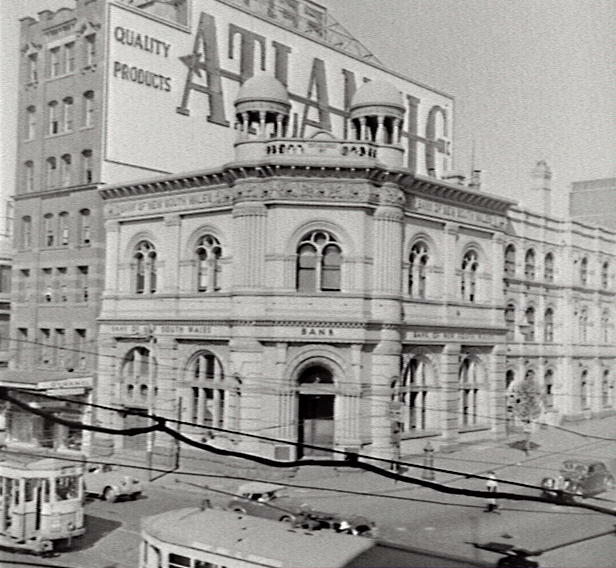 From 1908 to 1997, this was where the action was for the large variety of Arnott’s products. 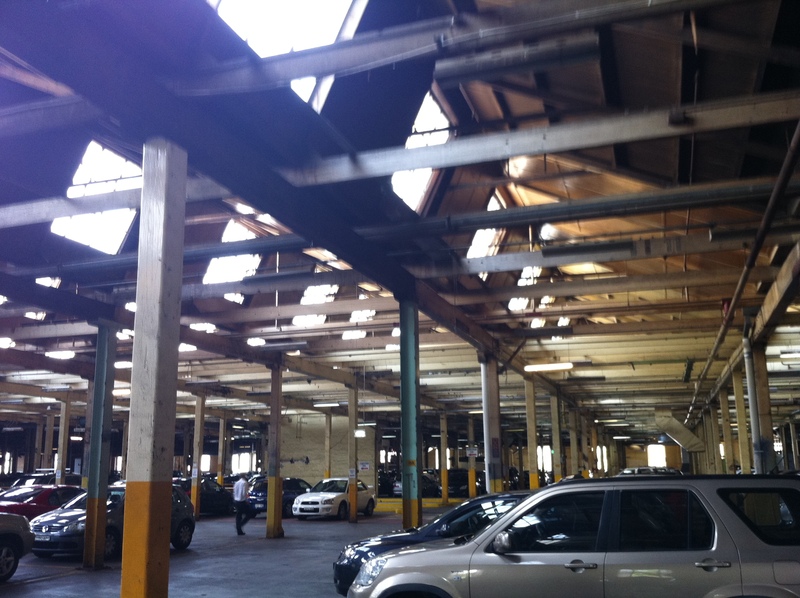 Since the factory’s relocation to Huntingwood, the site has undergone a remarkable transformation. Image courtesy City of Canada Bay Library Service. 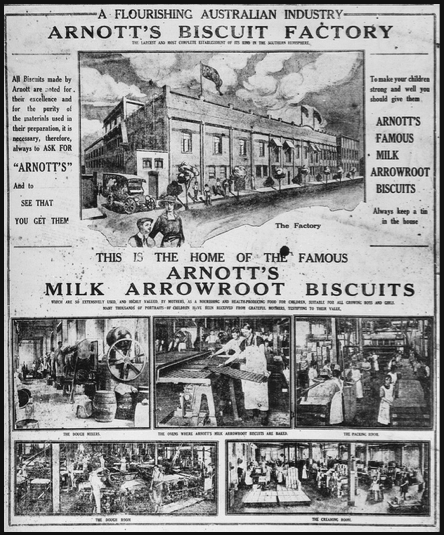 The first Arnott’s Biscuits factory opened at Forest Lodge in 1894, but when demand created the need for a larger factory, Homebush was chosen as the best location because of its proximity to the rail system. 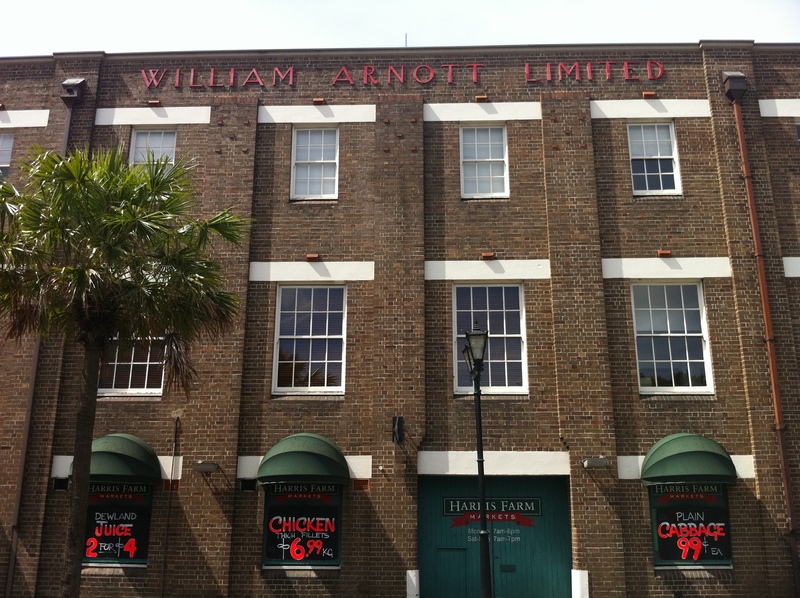 Company founder William Arnott had made the decision to move the factory closer to Sydney, but died in 1901, before he could see his dream realised. 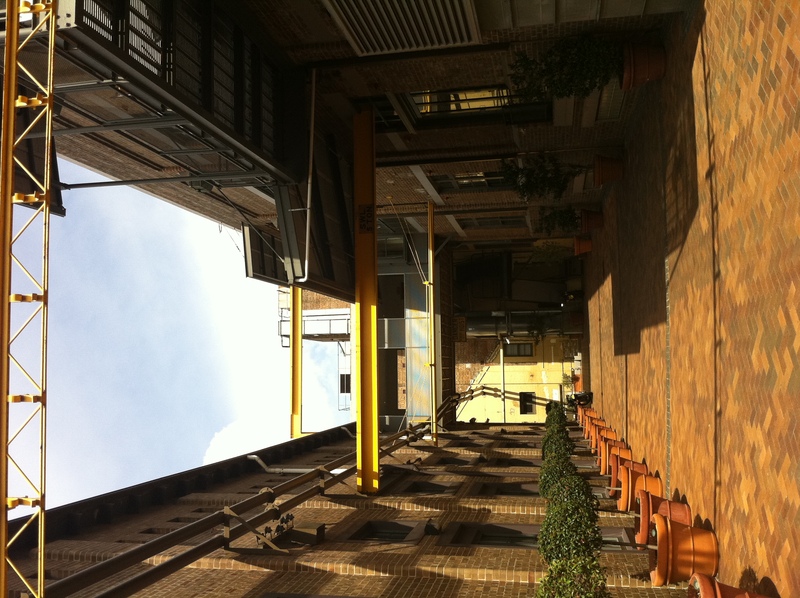 Seen at the time as a mistake on Arnott’s part due to Homebush’s then-long distance from the city, the factory eventually became the largest of its kind in the Southern Hemisphere. 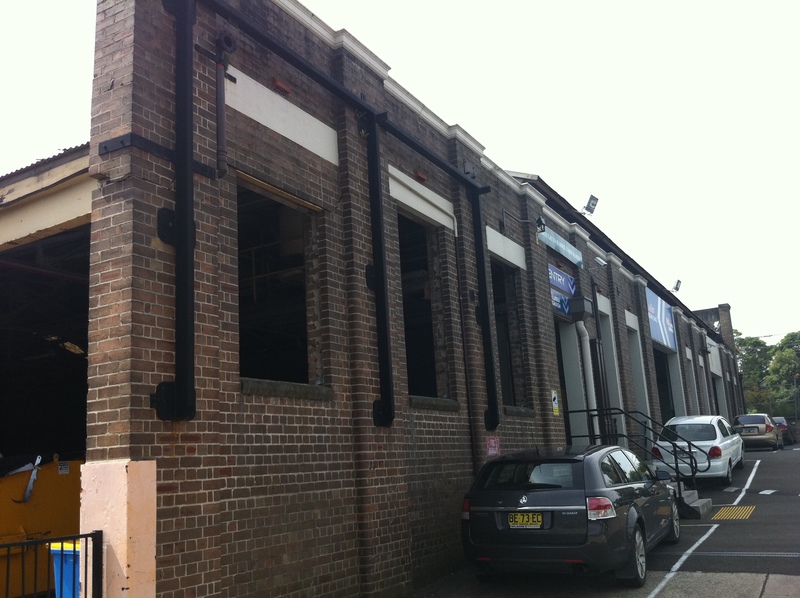 In fact, the Arnott’s factory was one of the foundations of economic prosperity in the growing residential suburb of Homebush in those days; there were few families in the suburb that didn’t work for Arnott’s. SportsFizz sounds like a drink, doesn’t it? 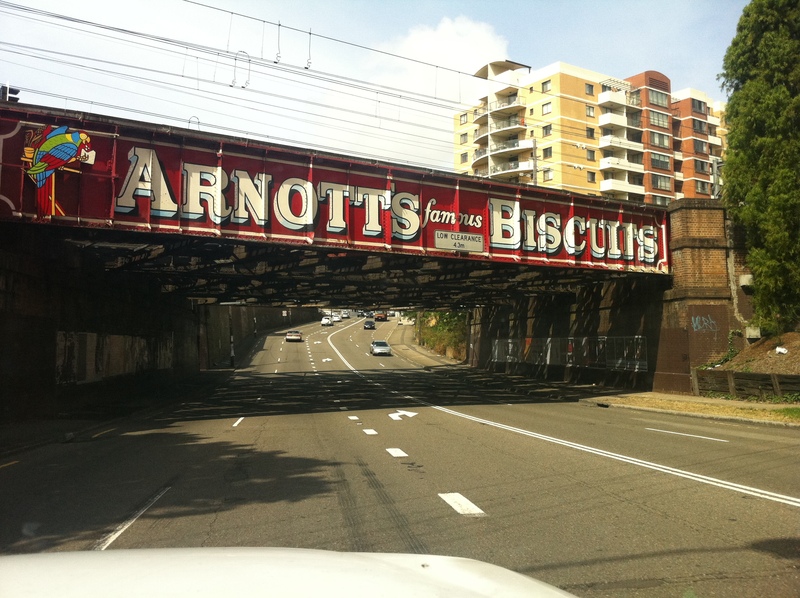 Arnott’s may have moved on from this location, but their biscuit range is still the most popular in Australia. 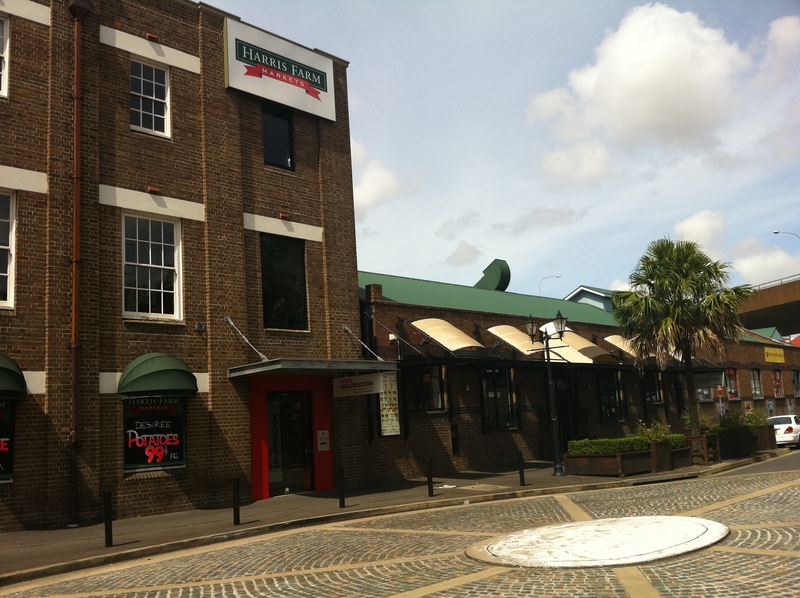 Scotch Fingers, Milk Arrowroots, Iced Vo-Vos, Tiny Teddies and Sao (I get the feeling that the plural of Sao should still just be Sao, like sheep) are exported all over the world, and all the while the Homebush factory still stands, albeit with a very different purpose. 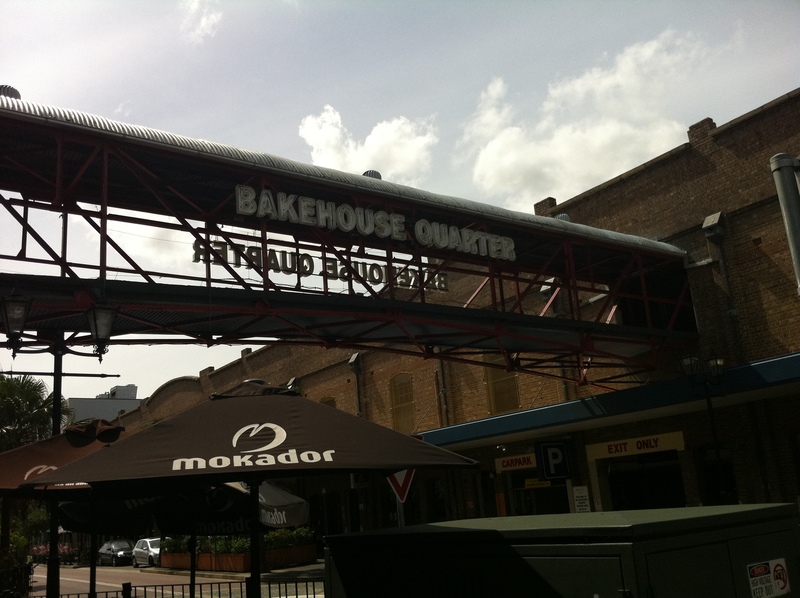 The Bakehouse Quarter redevelopment started in 1998, taking the Arnott’s factory that was so familiar to locals and converting it into a shopping and leisure precinct akin to Birkenhead Point. 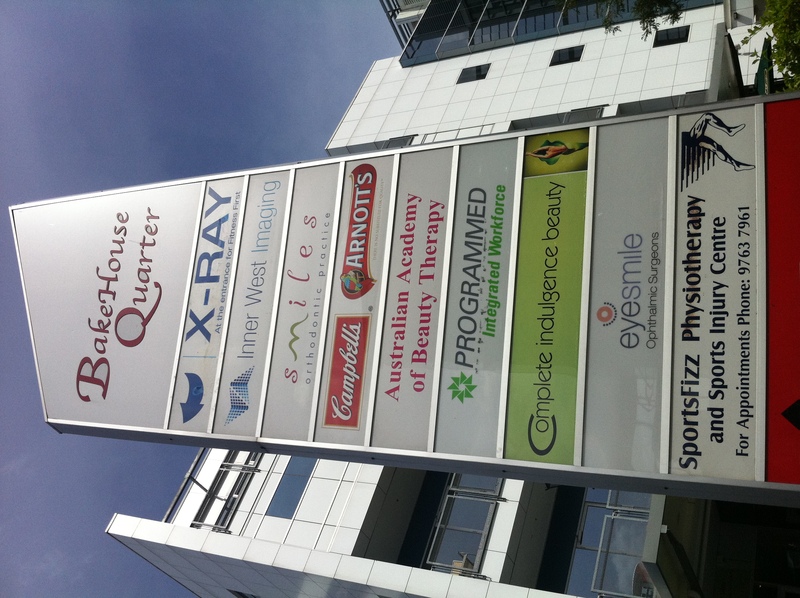 While you can’t spit without hitting a cafe, there’s also the obligatory business sector, which includes the corporate HQ for Arnott’s. 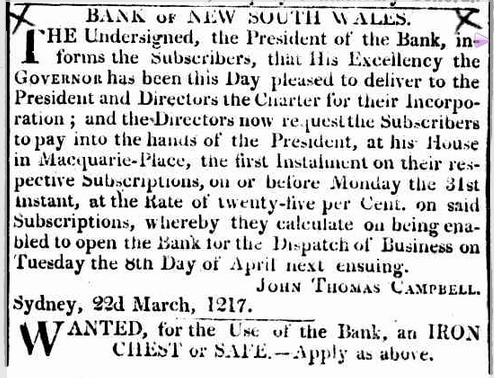 No substitute for a good location, I guess. 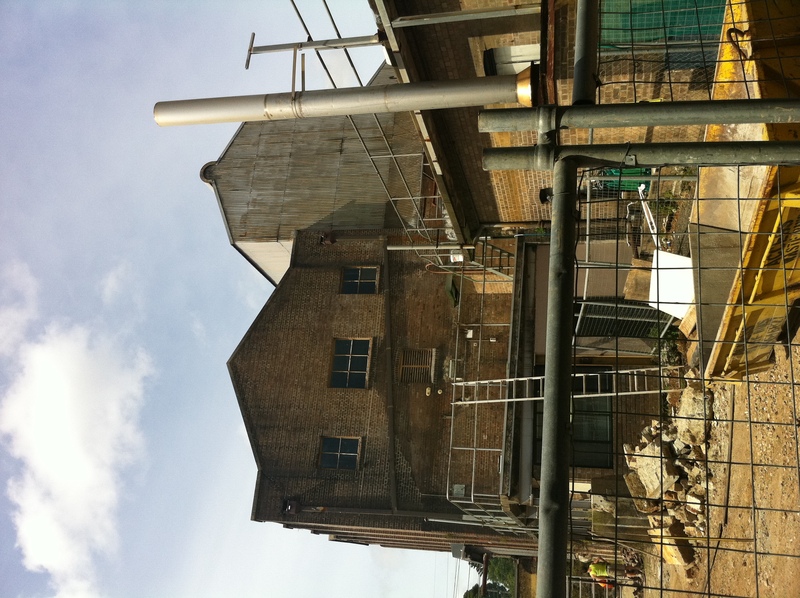 That’s not the extent of the Arnott’s involvement, either: plenty of heritage Arnott’s paraphernalia exists at the site, all part of the old factory. 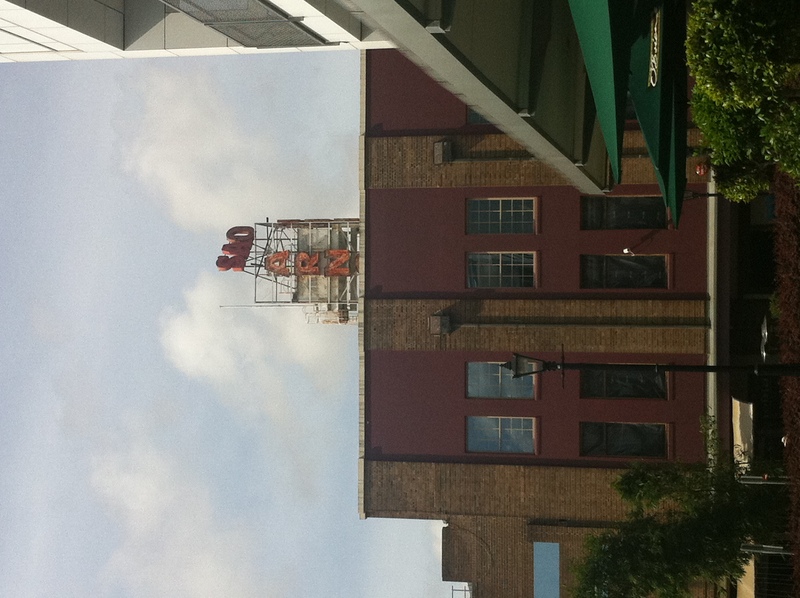 The giant neon Sao sign is the most prominent, but even Arnie (groan), the Arnott’s parrot, gets a look-in. 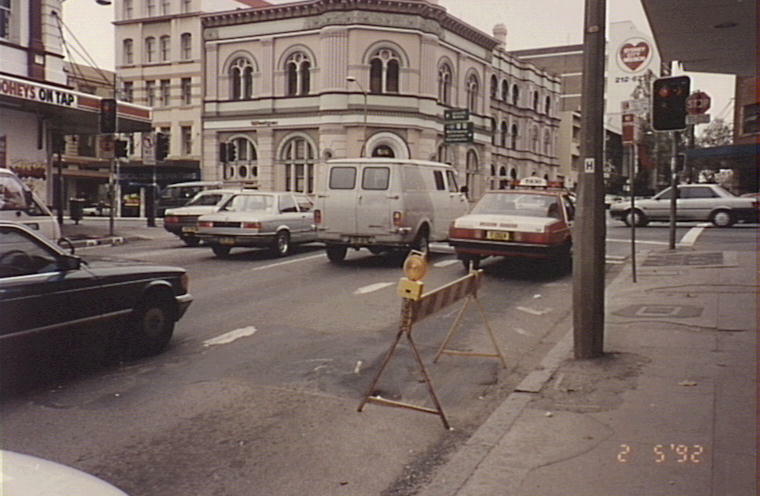 Cobbled roads and Edwardian-style lighting make up the section of George Street that passes through the vicinity. 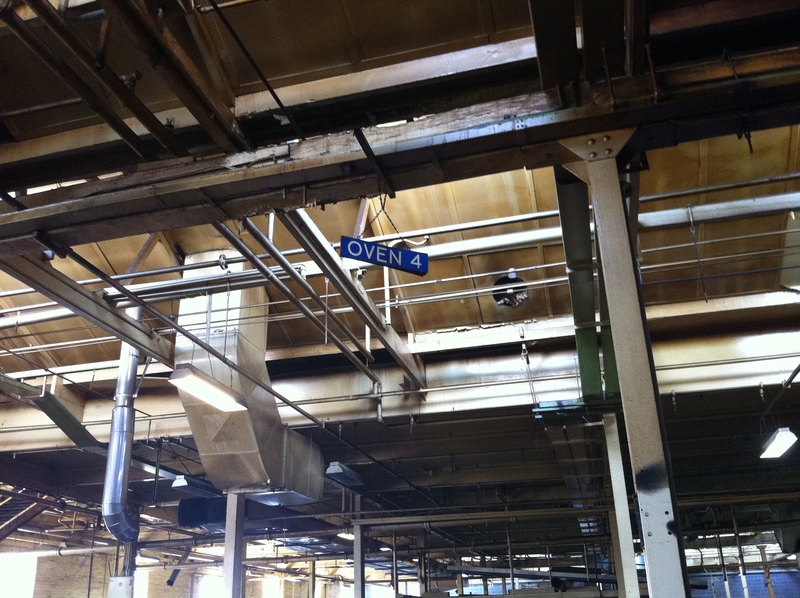 A large part of the factory itself has been converted into an AMF bowling alley and laser tag site. 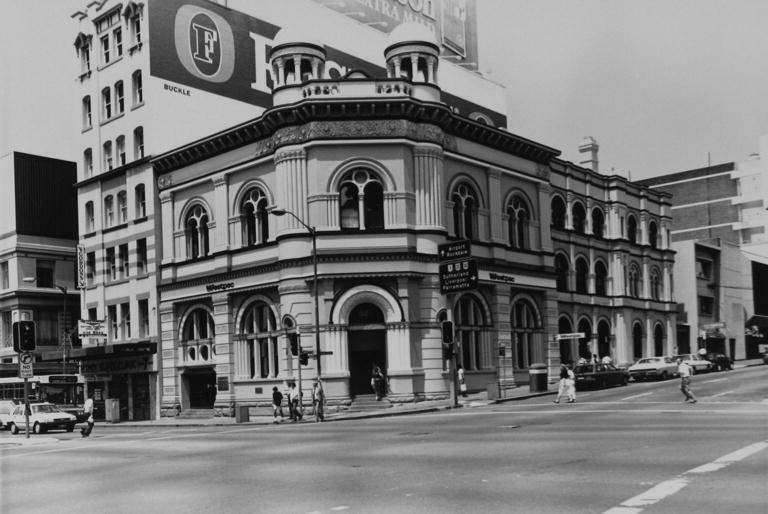 It’s not as farfetched as it seems – back in the day, Arnott’s had a bowling green included on the grounds, presumably as a showcase for the Iced Vo-Vo. A car park has replaced the former oven area, which is still keen to reveal itself to those on the lookout. The site’s still growing, and there’s still a lot of work to do. Zumba classes and conversations over meals at the steakhouse are still constantly interrupted by the sound of construction workers striving to turn the more industrial parts of the factory into a heritage paradise. 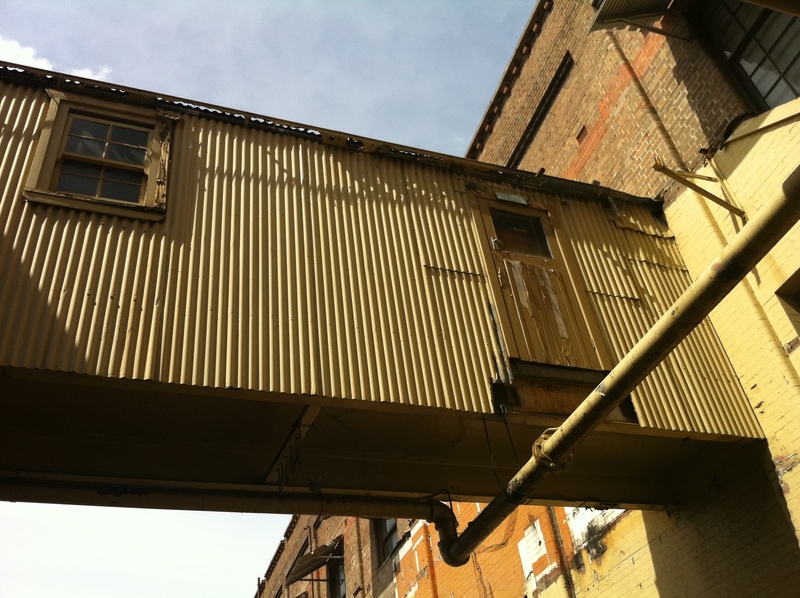 My favourite element untouched from the old days was this, the toilet to nowhere. I wouldn’t be surprised if it ended up with a fair portion of residential area set aside within it, but whether that would be incorporated into the extant factory is anyone’s guess. 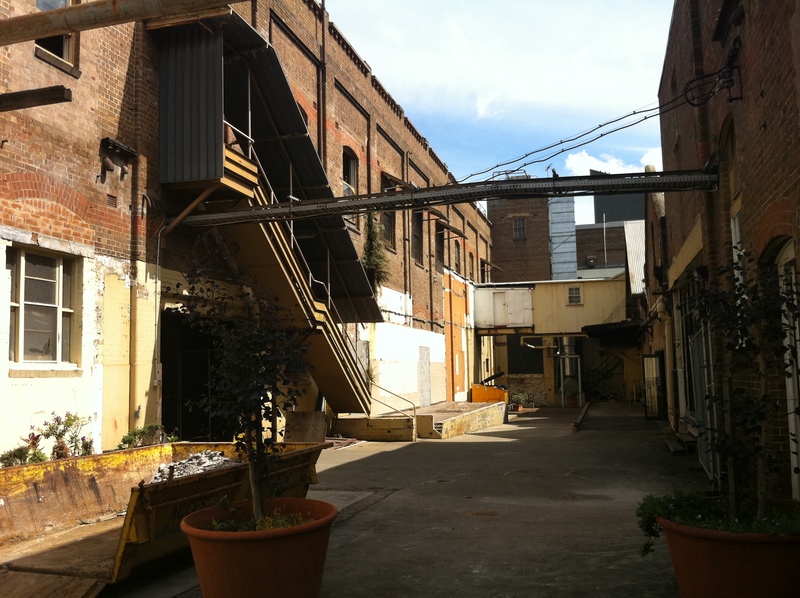 Would it be cool or trendy to live in a former Tim Tam chocolate coating room? Probably. One of the reasons the site was chosen by Arnott’s in the first place was because of its excellent rail infrastructure. 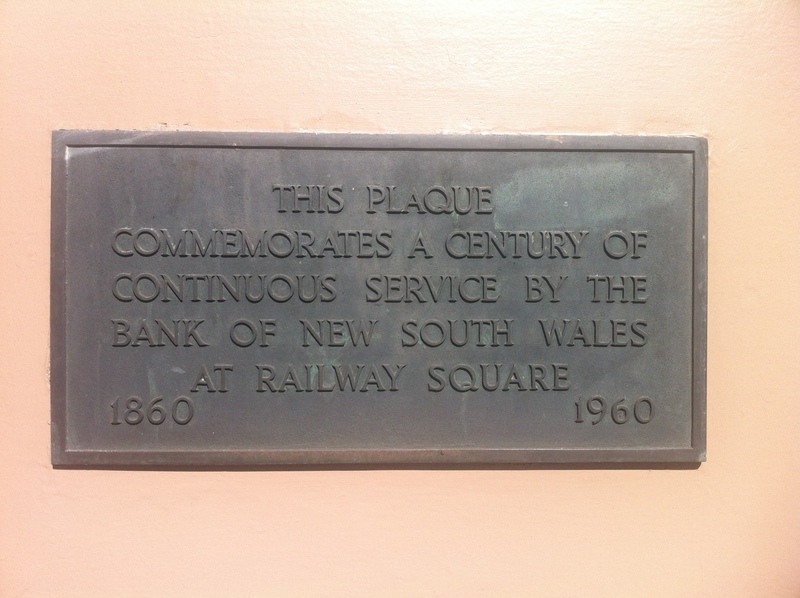 You can still get a good view of the factory by train as you pass by between Strathfield and North Strathfield stations, and this bit of free advertising still passes over the busy Parramatta Road. Huntingwood should keep a close eye on the Bakehouse Quarter, because when Tiny Teddies eventually grow up to become Standard Teddies, and Scotch Fingers grow to represent the entire hand, Arnott’s are gonna need more room, and that’s precisely when AMF and Zumba are gonna move in, ably proving that there is indeed no substitute for quality.